Ah yes the holiday season is upon us, and with it often comes the pressure to buy gifts, the stress of traveling and the hopes of seeing (or avoiding) family. Topping it off with a sense of ethical responsibility, conscious consumption and the desire to do the right thing can be overwhelming for many of us. I believe it is possible to create a new infusion of cultural habits that have a positive affect on our communities, our families and our sanity. It is often necessary to adopt new traditions that better reflect the changes that are going on inside us as individuals, and society as a whole. My family has adopted some new traditions over the years that have proven to be a blessing to everyone. We stopped giving gifts in the material sense and switched to something that can be shared by everyone; like a song, a poem, a bottle of wine or a tasty dish to eat. This has in turn alleviated the pressure of buying gifts that may or may not reflect the receiver’s individual tastes. This also relieves the financial stress that many families are going through from job losses and strained budgets, without the shame or guilt of not being able to afford presents. For those who are buying a few special gifts this year, there are plenty of shops in town that offer unique, locally made items. What goes on the dinner table is also important to consider. Most of us will sit down to a holiday feast that will include a main dish of meat and some sides. I want to encourage everyone to embrace their culinary creativity and give some meat alternatives a try. The majority of holiday hams and turkeys produced for our meals endure incredible amounts of pain and suffering from inhumane treatment in factory farms. By choosing plant-based meal options you are voting against animal cruelty, and saying yes to a healthier lifestyle. Since I do most of the holiday cooking in my family I am always sure to provide alternatives to the traditional fare (even if vegan tamales scare my uncles). I want to wish you all blessings of peace, joy and an abundance of love this winter however you choose to celebrate the holidays. The Refill Shoppe has all kinds of wonderful eco-friendly gifts, from water canteens to reusable lunch containers and sustainable dishware and locally made soaps. Of course you can also get your friends and loved ones in the habit of re-filling by getting them a lovely bottle filled with deliciously scented shampoo, conditioner or even dish soap. It’s the gift that keeps on giving all year! Michelle is knowledgeable and will put that extra special touch on your gifts with her unique wrapping and seeded labels that compost and grow flowers! Gotta check it out 1068 E Main St #100, Ventura, CA 93001 next to the Rubicon Theatre Company. 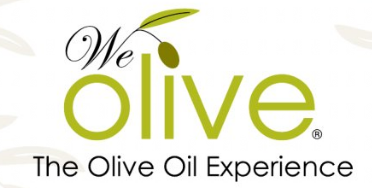 We Olive is another wonderful shop in downtown Ventura with the concept of refilling. You can bring in bottles or purchase them in store and fill them with high quality olive oils and vinegars; many are produced right here in California. They also stock some delicious pestos, spreads, jams and sauces. Their staff is very friendly and helpful. Gift wrapping is also included with your purchase.